2″Now after six days Jesus took Peter, James, and John, and led them up on a high mountain apart by themselves; and He was transfigured before them. 3 His clothes became shining, exceedingly white, like snow, such as no launderer on earth can whiten them. 4 And Elijah appeared to them with Moses, and they were talking with Jesus. 5 Then Peter answered and said to Jesus, “Rabbi, it is good for us to be here; and let us make three tabernacles: one for You,one for Moses, and one for Elijah”—6 because he did not know what to say, for they were greatly afraid. What an awesome sight that must have been! Can you imagine seeing Jesus, His glory unveiled, conversing with Moses and Elijah, the two bigest icons of all Judaism!? Notice Jesus brought only His inner circle with Him. He did this on several other occasions. Peter, James and John formed this special group. Ever wonder why He singled out those three? After all, there were eight other Disciples, not to mention 70 that also followed Him. The names of these men are always listed in the same order, too. This is no accident! Names, places and people in the Bible have meanings that give the reader a deeper understanding of scripture. Even numbers have meaning, a subject known to the rabbis as, “Gematria.” This is not numerology, which is satanic. The Holy Spirit is drawing pictures for us again! It’s a message to us, one of the running undercurrents in the Bible. Later on, these three men became apostles primarily to the Jewish people. They had been under law for 1500 years, unlike the Gentiles who never were. Their job would be to “roll away The Stone: THE LAW, from their lives. I always feel I need to qualify that statement here on the off chance that there is someone reading this who thinks we need to Ten Commandments to live holy lives. NEWS FLASH: The Ten Commandments do not impart holiness. By the Law is the KNOWLEDGE of sin, not holiness. I would also point out 1 Corinthians 15:56 which says, “The sting of death is sin; and the strength of sin is the law. Now, there is nothing wrong with the Law, but it can do nothing to help you. It good and just and holy, but unbending. Law will bless you if you do right, curse you if you do wrong. Church, we don’t need the “Map (the Law),” in our lives; We have Law-Giver, the Map Maker living within us: Jesus! The Holy Spirit leads you from within. We are more lawful than those who try by their own efforts to obey the Law. The Law says, “Thou shall not steal.” We not only don’t want to steal, we go even further and give to others. The Law doesn’t tell you to be generous. The Law says, “Thou shall not commit adultery.” We not only don’t want to do that; we love our spouses! The Law does not tell you to love your husband or wife. Ok. Back to our story up on the top of Mount Hermon. Moses and Elijah were only SERVANTS of God. They Represented the Law and The Prophets, respectively. They had their day but that day has passed. Grace, JESUS, has come! The law will be replaced because Jesus, The SON of God, was bringing in the age of Grace, USURPING the Ten Commandments with the New Covenant secured by His precious blood. That is what we celebrate every time we have Holy Communion. We proclaim His death that secured for us a better covenant based on better blood! The Father wanted them to understand they must now listen to and obey ONLY JESUS. Why No One Can Find Moses’ Grave. In this story, Jesus reveals to us a little secret. Yep. It’s true. The link above explans the whole story. Isn’t God cool?! He has hidden these wonderful wisdom in the scriptures just for us! There is evidence upon evidence upon evidence that we are NOT under law. WE ARE UNDER GRACE! We are not law-less.” Far from it! We are the most lawFULL of all! There is prophetic significance here as well in Jesus’ transfiguration. Notice He took them up on a “HIGH MOUNTAIN ON THE 6TH DAY.” They saw Him transformed into His glorified beauty. This is a picture of the rapture of the Church, which will happen just before He returns to earth on the 7th day! To God, one day is as a thousand years and a thousand years as one day. Remember what he said in the garden? “Six days shalt thou labor and do all thy work.” It has been six days, (the number of man), since the garden. When the year 2,000 dawned, we crossed over into the early dawn “seconds” of the seventh day. Jesus will call for us very soon! We are going up to meet Him in the clouds! I’m so glad God gave us these beautiful pictures and portents in the story of Jesus and His Transfiguration! 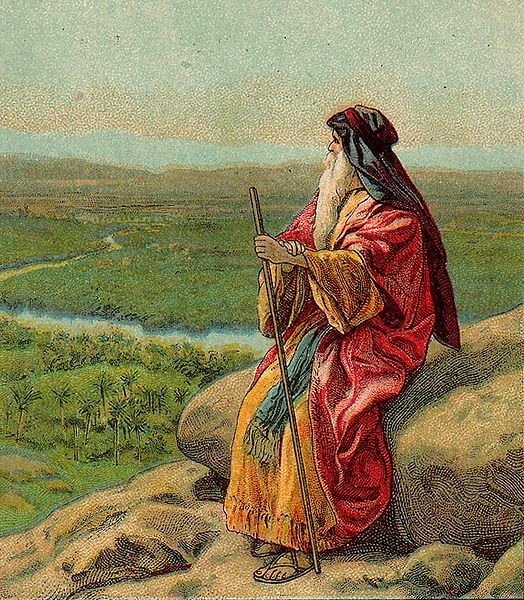 ← The Secret Of Moses’ Longevity.